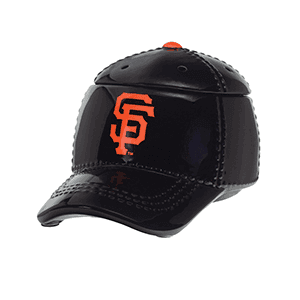 San Francisco Baseball Warmer – It’s hats off to America’s favorite pastime with our NEW baseball Collection. These officially licensed warmers are “stitched” with your team’s logo in a giant hat and will look great next to the game ball on your shelf. It’s hats off to America’s favorite pastime with our NEW baseball Collection. These officially licensed warmers are “stitched” with your team’s logo in a giant hat and will look great next to the game ball on your shelf. Love to go watch your favorite San Francisco baseball team at At&t Park? This is for you! Great gift for the SF fan!